I went to camp as part of my public school program. It was something that I really loved. As the daughter of hardworking immigrants, my parents couldn’t afford camp and didn’t know how to go camping, but I spent a lot of time outside just playing. I grew up on the prairies — our summers were dry and I spent them walking through the fields and exploring nature. In winter, I spent hours and hours in the snow. My children now go to camp every year. My son was in Beavers (a Boy Scout program for boys too young to be Cubs), and they go camping through their school. It’s the most exciting time of their year. I’m hoping they’ll be interested in doing a fullyear outdoor education program when they are older. I know we’re speaking in generalizations here, but why do so many of today’s children and youth seem riddled with anxiety? Anxiety is rooted in our genetics but is also what we would consider a chronic lifestyle- related condition. Our kids are living unhealthy lifestyles. That’s probably the biggest factor. Forty percent of our children are sleep deprived because they are too busy, which is linked to anxiety and depression. Most of their schedule is highly structured activity that takes place indoors. Then, when they’re not in scheduled activities, there’s lots of academic pressure. Stress is everywhere and one of kids’ main coping skills is using technology, which means staying inside. So camp encouraging more time outside really is a good thing? We know that nature has tremendous positive effects. Just basic sunlight is a treatment for depression. We know early morning sunlight specifically helps our body rhythm. I often prescribe a light box; we know that it can be as effective as antidepressants. We know that walking in nature can lead to less perceived stress. It isn’t going to change the actual stress in your life, but your perception of that stress will be lessened. People who walk through parks in urban settings have a greater sense of calm than those walking down a busy street. One Japanese study showed that forest bathing, actually taking a bath in forest water, increases our immune system and anti-cancer cells. Nature is a powerful ally for our health and anyone feeling anxiety or stress will experience a lift in their mood. So if this is what’s so powerful about it and our children are not taking part in it, we can connect that to their not feeling great. You say a lack of balance is “plaguing the everyday lives of our children.” What do you mean by that? Our children today are missing their daily dose of POD — play, others (social connection), and downtime. What kind of lasting effects are today’s youth experiencing as a result of prolonged stress and anxiety? There are prolonged physical and mental effects. Adrenaline is surging through the body and cortisol is the other stress hormone that is released. Cortisol leads to a wide array of negative impacts including on our immune system and heart. Anxiety and stress are not benign. They can even weaken our bones and put us at greater risk for cancer. It’s not uncommon for anxiety to lead to depression. Anxiety can also stop development. For example, if anxiety is preventing youth from public speaking in the classroom, it may prevent them from getting a good grade, which can impact if they go to college or achieve jobs that may require public speaking in the future. Many kids self-medicate. This can lead to substance abuse. Prolonged anxiety can lead to character problems as well. The anxious person might engage in something he or she feels is morally wrong, such as cheating on a test, because of overwhelming anxiety and academic pressure. It can also impact our social systems in terms of making friends and building a community. Many of us are familiar with the concepts of IQ and EQ, but you talk about something called CQ. Can you explain what that is and what essential 21st-century skills are involved? CQ stands for consciousness quotient. This is 21st-century intelligence. IQ is what we’d consider logical, analytical intelligence, very important in the 19th century when we were memorizing facts and getting information from books. EQ is emotional intelligence and very important. But we need both to function with our whole brain, and that is CQ. There are key skills for the 21st century because our world has changed. There’s communication, being able to express your thoughts effectively and communicate across broad mediums; collaboration, which is the ability to work with and inspire others within a team from very diverse backgrounds; critical thinking, which isn’t knowing the right answer but knowing how to ask the right question; creativity, which has been identified by today’s business leaders as the most important competency for the future; and contribution, which is our connection, our meaning, our purpose. IQ and EQ are no longer enough to capture these five skills because the world is so technologically driven, so fast-paced, connected, and ultra-competitive. You say our brains have a “positive feedback loop” and that if we pay attention to our intuition, we can maintain balance in our lives, boost our CQ, and enhance our sense of happiness. Can you elaborate? Our human body, our essence, has both a positive and negative feedback loop. Take the example of hunger. Everybody, when they’re lacking nutrition, experiences feelings of hunger. That’s our signal to eat. Then we feel full so we know we don’t need to eat anymore. But this loop isn’t just for hunger. When you’re tired you sleep, and then you feel better, and so on. People are disconnected from this feedback loop, from their own bodies speaking to them. I feel we’re disconnected from the very essence of our bodies and how our minds work. We’re meant to live in balance. This is also true of our emotional health. We can apply this feedback loop to other things such as loneliness. If we’re feeling lonely, that’s our signal to connect with friends. We’re social beings; if we don’t do that, those feelings of loneliness and depression will continue. When we do heed that signal, our feeling of loneliness will decrease. But simple is not easy. Social connection, socializing, meaningful social bonding is what keeps us mentally healthy — but knowing it does not mean doing it. Building on that, you mention some activities beyond the survival basics of eating, sleeping, and getting exercise that are necessary for our wellbeing and self-motivation — the POD. Can you explain those and their importance? There is play. All animals play in nature. Dolphins play every day. For humans, play activates the prefrontal cortex of our brains. When we play we develop that area of critical thinking and adaptability. We become comfortable with unpredictability. Play is how we learn to adapt. An experiment with rats studied two groups, one of which wasn’t allowed to play. Then a cat collar was dropped into both groups’ cages. Both groups of rats retreated into a hole, but the group that didn’t play never ventured back out again. They didn’t have adaptability and weren’t willing to take a risk. We are much the same. Play is a vital activity of childhood and adulthood. Without it we have difficulty developing new ideas and concepts. We become perfectionists who can’t make mistakes because we are uncomfortable with it. Connection to others is one. Our social connection is eroding partly because of t he b usyness i n o ur l ives a nd a lso because of technology. We’re becoming disconnected from each other and our tribe (families and community). Siblings often don’t really know each other because they’re constantly running between activities, and home has become just a pit stop. Loneliness is what I see a lot in teenagers. Socializing is not the same thing as social bonding. We don’t take loneliness as being as severe as we should; it’s as much a risk to health as smoking. Downtime is another. This is simply doing nothing or relaxed wakefulness. It could be looking at the stars, the clouds, closing your eyes — just moments of downtime. These moments are very important. It’s during downtime that we assimilate memories, we process our morality, we increase our attention span, and we contemplate our futures. When individuals have a problem they can’t figure out, they will sometimes take a walk and then the answer comes to them. We’ve also all reflected on a conversation we’ve had and decided perhaps something we said was a bit rude. Downtime is when our morality speaks to us. When we have no downtime, we’re constantly plugged in, and that negatively impacts all of our mental faculties. All three of these are powerful and can be facilitated through camp and nature. Many campers arrive at camp from households run by overly authoritarian or overly permissive parents. What can camps do to mitigate the anxiety children and youth bring with them from those environments to set them up for a positive growth experience at camp? I would say really lay out at the very beginning the philosophy or structure of the camp. Let them know they are going to have rules and expectations within the camp — “Take care of your sleeping bag, make your bed . . .” — but there is also room for flexibility and you really want them to have fun. There are rules, but there is also openness to individual choices. Let them know this is a community, and we’re all in this together. There’s positive role modeling. It’s a highly adaptable environment. If it rains tomorrow and we had an outdoor activity planned, we’ll adapt to the weather. It’s really an opportunity for adaptability, resilience, and role modeling. The camp community is a huge proponent of free play, but how exactly does play contribute to a superior CQ in children and youth? I talked a little about the innovation part of play, our ability to learn from trial and error, but I didn’t mention before that free play is a very powerful social teacher. Children are learning how to negotiate, how to share, how to play together, how to step back when they’ve had enough — and they’re learning it all on their own. Being able to have and negotiate these experiences on their own builds their confidence. 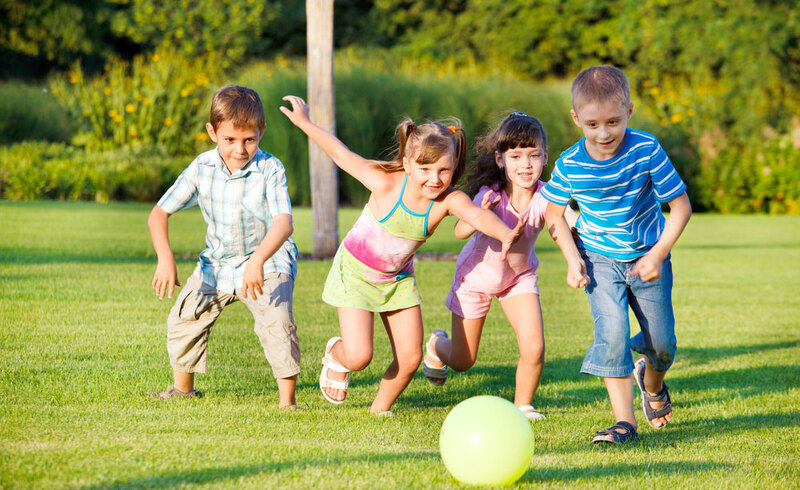 Free play also increases social bonding and, of course, there are physical benefits to it. But there are different kinds of play, some of which are rough-and-tumble play, such as climbing trees; object play, playing with your hands in the dirt or skipping rocks, for example; and imaginative and pretend play, which kids do all the time (“I’m the sorcerer; you are the king.”). You also emphasize the importance of community and contribution and wrote in The Self-Motivated Kid, “Contributing to the world through our unique gifts is the ultimate motivator.” What can camps do to encourage their campers and counselors to contribute within their camp communities and beyond? Camp allows children the play, the connection with others, and the downtime that are so important, and it allows them to discover what their unique gifts are. They might think, I’m not really good at swimming in the river, but I’m really good at organizing this game and getting people to join in. When children know themselves, they figure out their unique abilities. By being in a collective, we understand our individual abilities, and we experience how we can contribute. Then that can be applied to other parts of life. Camp is a microcosm for the rest of the world. Final thoughts? Any additional words of wisdom on the role camps can play in reducing anxiety in children and youth and providing an environment that fosters lasting happiness? I think camp could be a place for an even more formal assessment and treatment of anxiety. A camper’s parents may not know their child has anxiety. They may not recognize their child doesn’t know how to do simple things without causing anxiety. So camp may be an opportunity for identifying anxiety and then implementing solutions to reduce it, to say, “Look, a lot of people have this.” Then communicate with parents, providing insight into children in a different environment. And then, if needed, the parents can seek out professional help for their child at home. It can help early identification and referral, if needed.